'A comrade is not for what you are for, neither does he share the same interests as you. A comrade is simply one who is against what you are against. In other words, you are bound by a common enemy. The All Progressive Congress, is a party founded on this premise. It does not matter if you hate Reno Omokri's guts, but ask yourself if what I said has not turned out to be the truth. The unraveling of Bola Tinubu actually began on the 3rd of June 2016, when President Muhammadu Buhari publicly and right in Tinubu's face told him at a reception the President held for members of the National Assembly at the Presidential Villa that the All Progressive Congress had no such position as a National Leader. Teaching him a lesson in Ondo state is only the beginning. Bola Tinubu's comeuppance is not yet complete in the eyes of his traducers. And then look at the way he is portrayed in Professor John Paden's biography of the president. Paden portrays Tinubu as a desperate power monger who kept throwing himself at Buhari only to be rejected at each instance. Tinubu, see how low you have fallen! At the end of the day, after all the terrible things the propaganda wing of APC said and did to Ayo Fayose and Femi Fani Kayode, who came to the help of Tinubu but the two men demonized by the very same propaganda machinery that Tinubu helped set up. 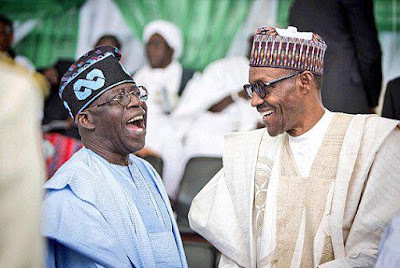 And as for Tinubu, I cannot imagine why someone will write a book and insult you in it and still invite you to the launch and you agree to go simply because he is a president. Tinubu! Your Afonja too much! Did you not see what ex-President Goodluck Jonathan did with the so called Leadership Award. You do not honour a gathering designed to reduce you with your presence. As the late kakanfo MKO Abiola would say 'a man who allows his head to be used to break a coconut may not live to eat it'!